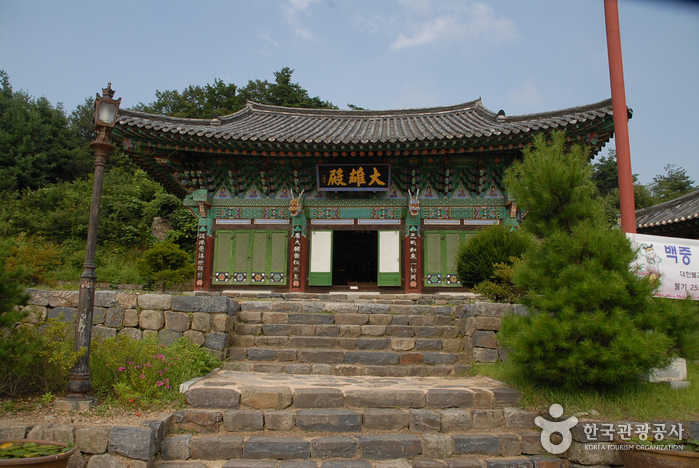 Driving directions : Take an intercity bus to Jochiwon. From Jochiwon Bus Terminal, go 250 m towards Jochiwon Station. Turn right at the Yeokjeon Interchange, and go 150 m forward. From the bus stop ahead, take Bus No. 820 or 830 to Dabang 1(il)-ri. 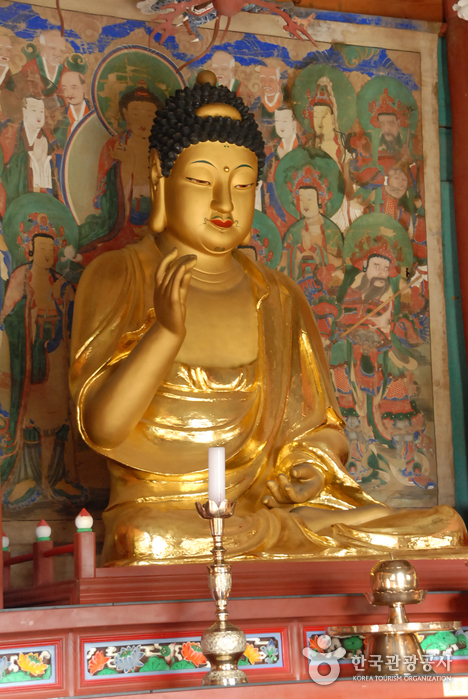 Follow the road for 1 km to arrive at Biamsa Temple. 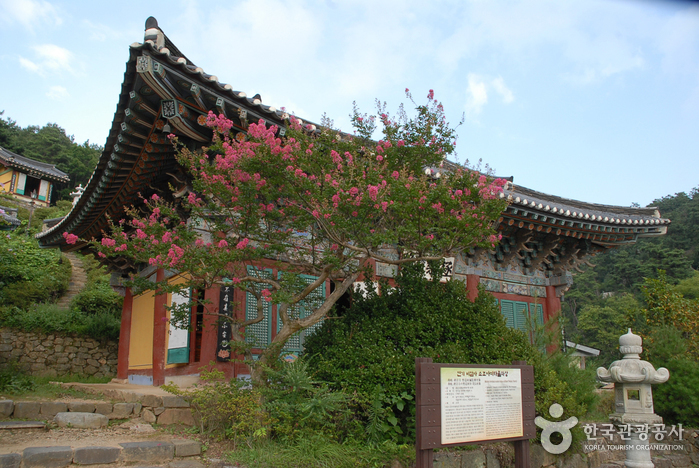 The origin of Biamsa Temple is unknown, but the temple's architectural features suggest that it was built during the mid Goryeo Dynasty period (918-1392). 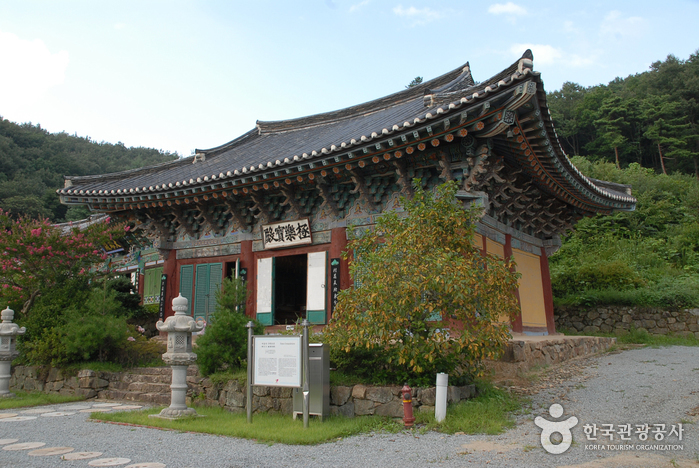 The Geungnakbojeon Hall and the three-storied pagoda inside the temple have been designated as Cultural Properties of Chungcheongnam-do Province. 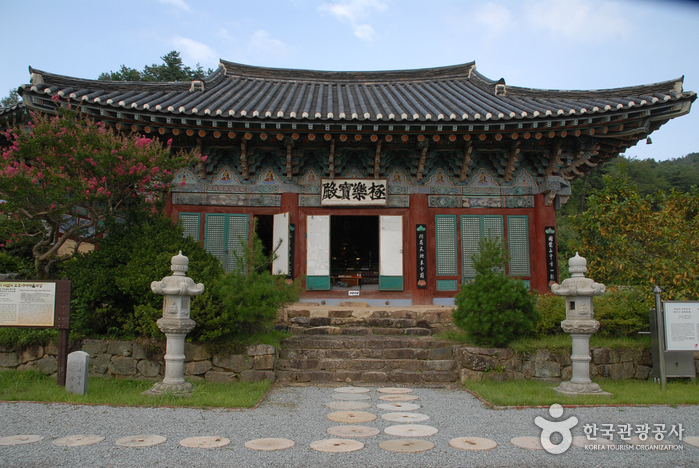 The flamboyang and delicately crafted datjip (canopy) inside the Geungnakbojeon Hall was restored in 1657 during the 8th year of King Hyojong's reign. 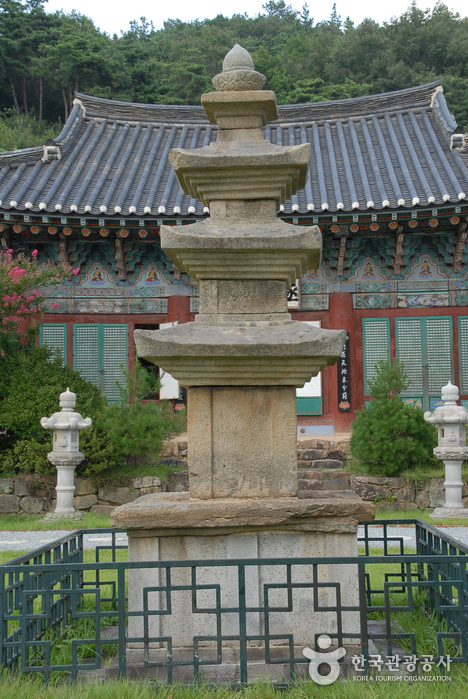 In the yard in front of the Geungnakbojeon Hall stands the three meter-high Samcheungseoktap (three-storied stone pagoda). 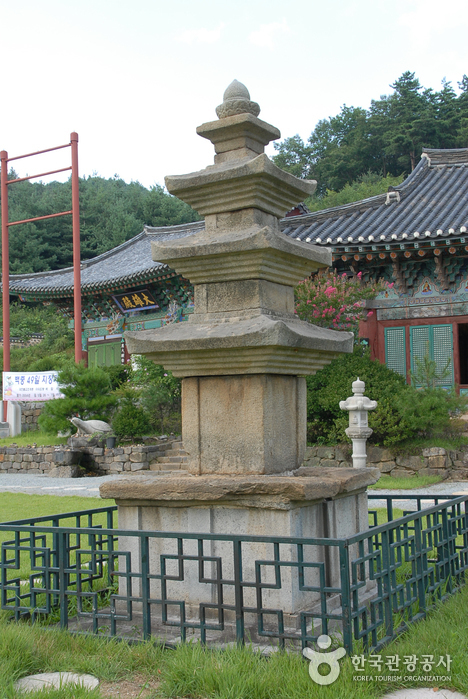 With the discovery of Samyeongunsang stone statues near the top of the pagoda, Biamsa Temple became more widely known to the public. 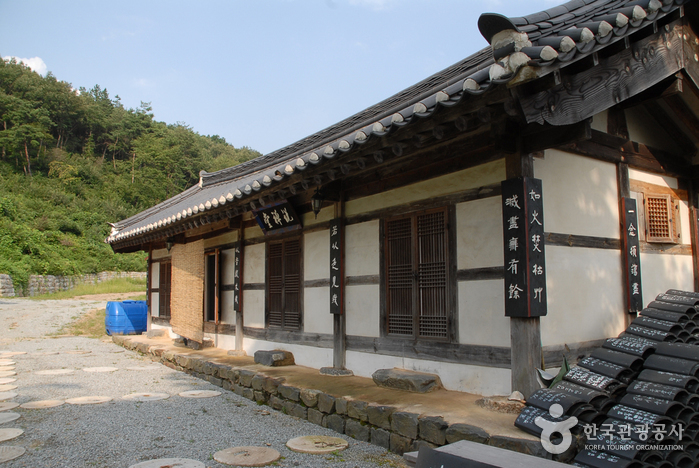 Among the stone statues, Gyeyumyeongjeonssi-amitabul-samjonseoksang (three Buddha statues) has been named as National Treasure No. 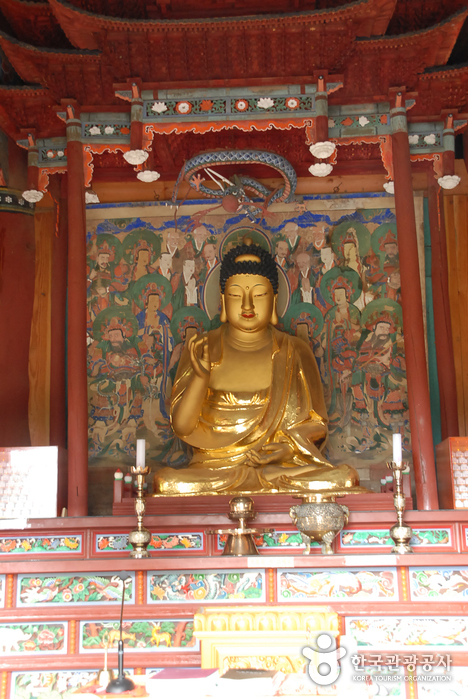 106, and Gichukmyeong-amitayeorae-jebulbosalseoksang (statue of Amitabha bodhisattva) and Mireukbosal-bangaseoksang (statue of Maitreya bodhisattva) have been designated as National Treasures No. 367 and No. 368, respectively. 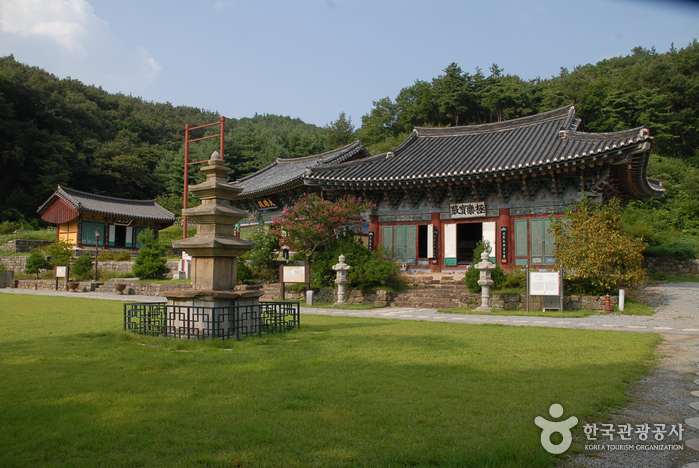 The stone statues are preserved in National Museum of Korea. 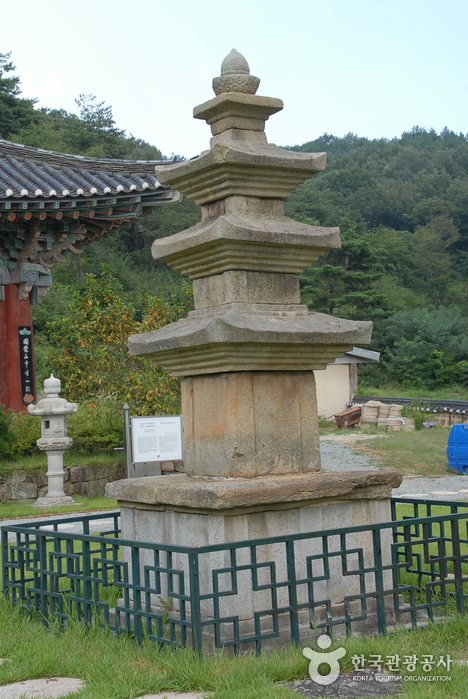 Meanwhile, the three-storied stone pagoda was designated as Tangible Cultural Property No. 119 of Chungcheongnam-do Province on July 19, 1985.